I have now passed a big milestone: 100 Family Trees written! Read Testimonials on the FEEDBACK PAGE. 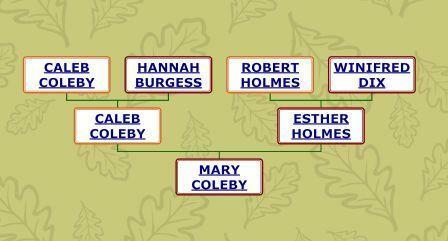 You need the help of a Professional Genealogist and Family Historian. As a professional writer, genealogist and family historian, I can use Birth, Marriage and Death certificates, censuses, parish registers and wills to track down your ancestors and help you to create your Family Tree. When I have found out as much as I can, I will present my findings to you as a written narrative as well as in the form of Family Tree Charts and genealogical records. I will include copies of original documents, photographs and background information in a readable and manageable form which you can enjoy yourself or give as a gift. The finished book will typically run to 60-80 pages for a "single branch" (see below); much more if you choose several branches of your Family Tree to research. I will also include all the information on disc so that you can share it. All you need to do is decide which of your ancestors you would like me to seek out. Do you remember the old story about the Emperor of China who offered to reward a clever man with gold, silver and jewels? The man refused, and asked instead that a single grain of rice be placed on the first square of the emperor's chessboard; on the second two; on the third four, then eight... By the sixtyfourth and last square of the chessboard there would have been more rice than in all the emperor's granaries. Your ancestors work in much the same way - four grandparents, eight great grandparents, sixteen 2x great grandparents... and so on. The simplest, (and cheapest) route is for me to follow one branch of your Family History - say your father, his father, his father, back through the generations. I should be able to trace that branch of your Family Tree back at least to the early 1800s and quite possibly further. I could equally well start with your mother or grandmother if you prefer. Two branches of your Family Tree will follow both of your parents' fathers (or mothers); four branches of your Family Tree will work back from all of your grandparents. ...There will be background information. This could include a profile of your ancestors' village, an explanation of their trade or old maps of the area where they lived.